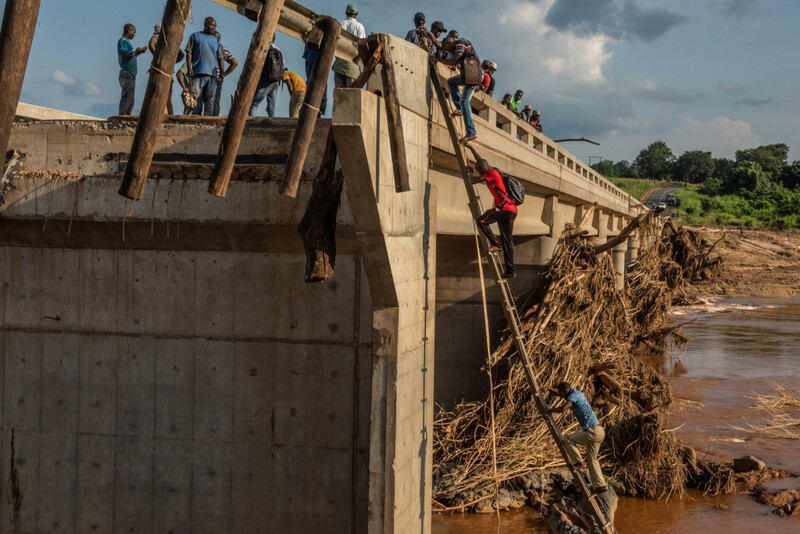 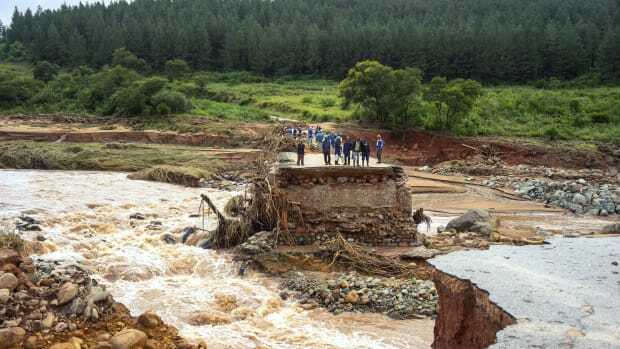 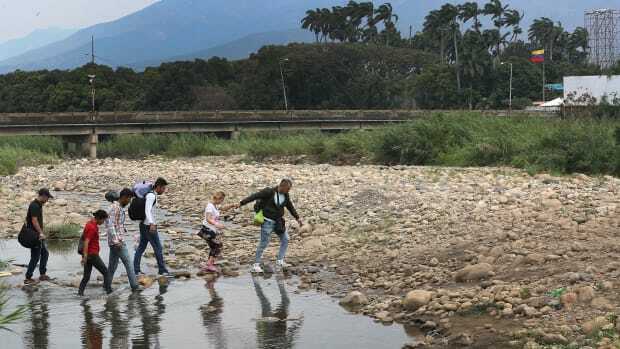 People scale a broken bridge, damaged during Cyclone Idai, to cross the Lucite River on March 26th, 2019, outside of Magaro, Mozambique. 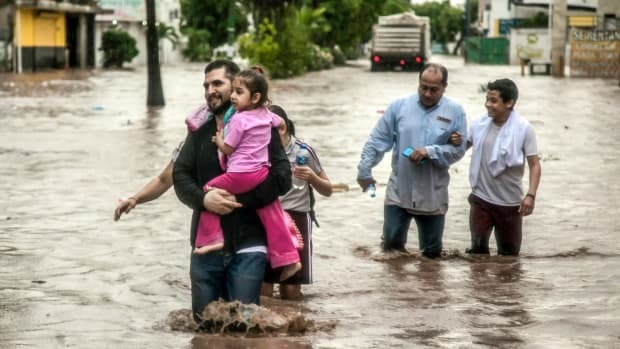 The storm caused the river to overflow and flood nearby villages. 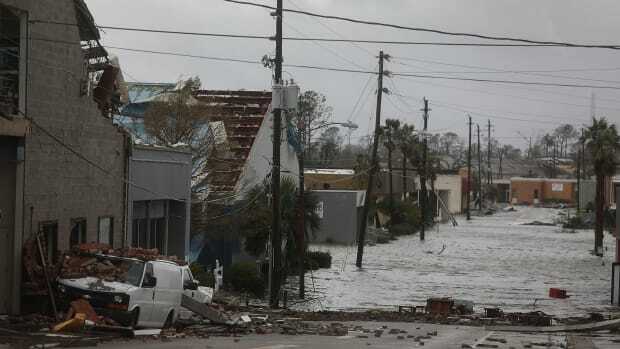 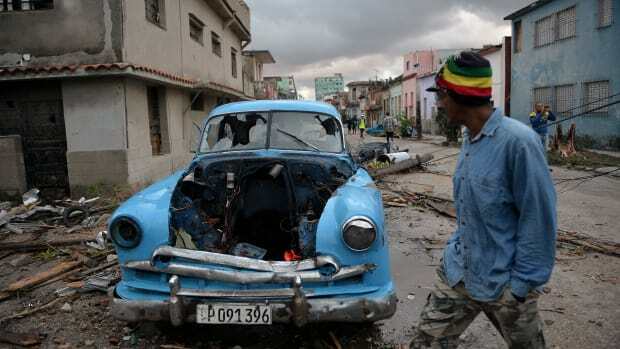 At least 156 bodies have been found in the surrounding area.